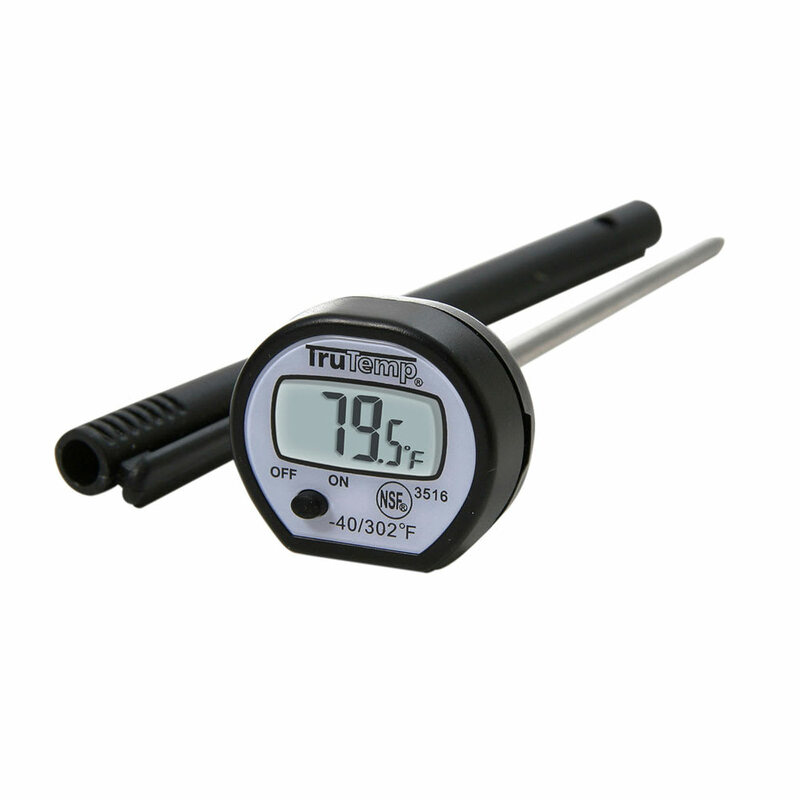 The Taylor 3516 pocket thermometer is an ideal solution for quick temperature-taking tasks like verifying the doneness of proteins and verifying that buffet items are being held at the correct temperature. It is capable of accurately measuring temperatures across a range of -40 to 302 degrees Fahrenheit. 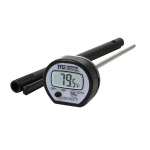 The thermometer's 0.3-inch LCD readout makes temperatures easy to read. A pocket sleeve and clip mean that this tool can be carried in the users pocket, keeping it safe and clean while it's not in use. This thermometer includes a manual On/Off button so users can manually power it off when it isn't needed to preserve the life of the battery, which is included with the purchase. The Taylor 3516 has been NSF listed, so you know that it's easy to keep clean and sanitary. "This is a good item if you don't need quick readings. It may take 10-20 seconds to come up to the correct temperature reading."